Orbit and Oculoplasty is a distinct subspecialty of Ophthalmology which deals with anomalies of the eyelids, orbit (bones behind the eye) and lacrimal (tear drainage) system. The eyelids and structures around the eyes are critical for vision. Injuries, aging changes and tumors can cause pain, vision loss and disfigurement. Changes in the eye's appearance due to aging or the loss of an eye to disease/injury can decrease one's ability to interact in social settings and can decrease one's confidence and impair self-image. Oculoplastic procedures frequently have both functional and aesthetic purposes. 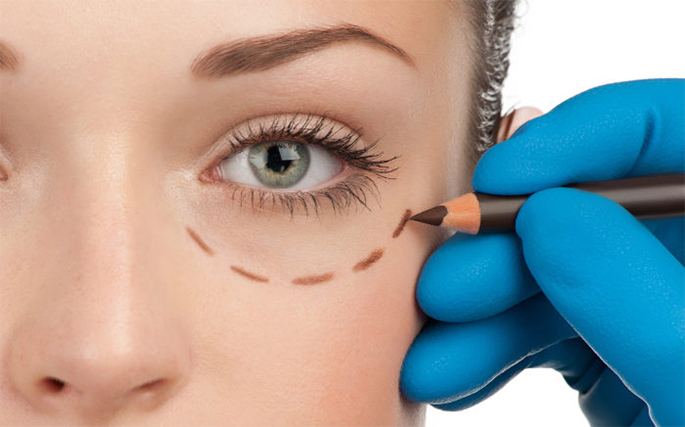 For example, Blepharoplasty, a procedure for baggy and droopy eyelids, may improve peripheral vision as well as facial beauty and rejuvenation. It aims at improving function, comfort and appearance. •	Persistent unexplained watering – May indicate punctal stenosis or a nasolacrimal duct /canalicular obstruction and/or involutional lid laxity. •	Warts, Xanthelasmas, Cyst over the eyelids / periorbital skin. • Eyelid trauma with/without canalicular involvement – treated with reconstruction and canalicular stenting. •	Eyelid Tumors – treated by resection followed by reconstruction of eyelid. • Painful blind eye/pre phthisical /phthisical eye – treated by Enucleation/Evisceration with Orbital implants followed by fitting with custom fit prosthesis(CFP). • Care of an Anophthalmic socket – Fornix reconstruction, correction of lax lower lid, Socket reconstruction in case of volume deficit. •	Orbital fractures – mainly blowout fractures of floor – need orbital floor reconstruction. •	Orbital SOL/Tumors - managed with appropriate Orbitotomies. •	Drooping/tired upper lids, Loose skin around eyes (upper lid/lower lid) with/without prolapse of fat – treated with blepharoplasty. •	Wrinkles around the eyes and upper mid face – crows feet, frown lines, horizontal lines over forehead – treated with Injection Botox. •	Periorbital hollows, shallow contours, facial creases – Facial rejuvenation with dermal fillers. Botox is the brand name of a toxin produced by a bacterium known as Clostridium botulinum. Small, diluted amounts can be directly injected into specific muscles causing controlled weakening of the muscles. •	Forehead furrows, the horizontal lines that form when you raise your eyebrows. Noted primarily for the ability to reduce the appearance of some facial wrinkles, Botox injections are also used to treat such problems as blepharospasm (uncontrolled blinking and squeezing of the eyelids), hemi- facial spasms and strabismus (crossed eyes).